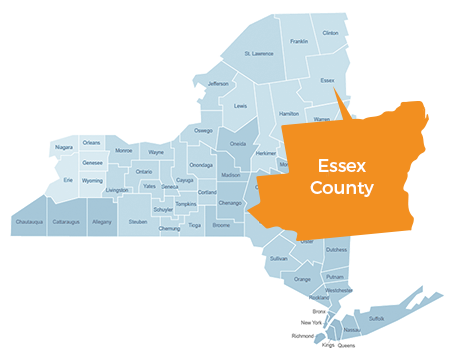 Bridge Point Communication offers local & long distance phone and broadband internet within Essex County, NY. Bridge Point Communication, on its own, offers fiber optic broadband internet and telephone services to areas of Ticonderoga and Moriah. Our service offerings are the most reliable available and reasonably priced as well. Consistent quality of product and customer service are what we pride ourselves on as well as being local. Our broadband packages for business are designed to meet your unique needs, offering the reliable, scaleable solutions you need. We are your local, trusted communications partner, whether it’s Broadband Internet Access or telephone services. Bridge Point Communication provides residential and business fiber optic broadband internet and telephone services within the Essex County areas of Ticonderoga and Moriah. If you are looking for information on what services are available in your area, call (800) 828-9221 or contact us online. Things went very smooth today! I was running programs all day, and didn’t notice any break in the Internet! Did it happen? Maybe it’s so blazing fast that it worked right through it! Bridge Point Communication has been outstanding to do business with. The phone and internet service is reliable and very efficient. It’s a great feeling to have a LOCAL provider that is so dedicated to their community and customers. The customer service always exceeds our expectations. This past November I contacted their customer service department and arranged to have a high-speed Internet connection installed at my home. Shawn, Chad and Tony went above and beyond to be sure to that I was happy. I am truly pleased with Bridgepoint’s service and for once can say that am getting the connection speed that I am paying for.